While the art of manufacturing becomes more advanced, the idea remains the same: turning raw materials into finished goods. Let’s explore some of the latest developments in the industry. The packaging of a product is a very important decision. Ideally, it protects the product, extends its shelf life while attracting consumers to buy it. 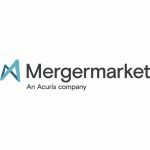 Current marketing trends are leading away from sturdy metal packaging to plastic or other flexible systems in order to save money, storage and shelf space. 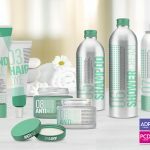 But plastic and other soft packaging can severely limit the kinds of contents for which it can be used and the decorating options that are being relied upon to entice increased sales. For a host of reasons, metal packaging is still the optimum choice and the acknowledged leader in this field is Tecnocap. “Producers who are looking for the ideal packaging for their precious products, usually want all the qualities that metal closures can provide. 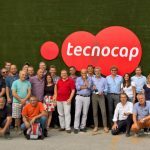 Tecnocap has not only the experience and expertise in manufacturing these closures, we also have the resources, support and knowledge to assist throughout the development and application process”. Tecnocap LLC has been serving the industry for over 135 years. With its North American headquarters in West Virginia, the company offers more than 100 sizes and styles of metal closures. Tecnocap supplies its products to local and international companies including many multinational firms. Consumers encounter Tecnocap technology on a daily basis, with products such as pasta sauce, lip balm, shoe polish, alcoholic beverages, cosmetics, candles, vitamins and supplements plus heavy duty cleaners. “Tecnocap makes a wide variety of metal closures. Our sizes range from 15 millimeter to 120 millimeter. We have over 100 different designs that we can customize to fit most our consumers’ needs. Our engineering team is working all the time to come out with new products. With that being said, we have come out with 4 new items in the last 15 months”. Metal has always been a better protector of its contents than any other material. And today, metal products can be customized in boundless variations and attractively decorated. For those who are environmentally aware , it’s clear that metal can be melted down and recycled indefinitely, while even in the best recycling programs, not all plastic gets reused. “Here in Tecnocap recycling is very important to us and we recycle all our post waste materials such as our tinplated steel, our aluminum, paper products and even our wooden skids are all recycled. Metal closures also appear more solid and more protective, and this feeling can be augmented by modern tamper evident features such as a vacuum indicator button or heat induction liners. Tecnocap has introduced 3 new caps to the spirits market. They are for wine as well as other alcoholic beverages: we have the Bella closures which are for the cosmetics & personal care use markets, as well as the Saf-lok, which is a child resistant closure for the pharmaceuticals as well as other industries such as automotive & cleaning”. Technocap can customize metal packaging with any graphics, color or style done at its in house lithography plant. “The packaging industry as a whole is constantly changing with innovations and new materials. Tecnocap is in the process of introducing composite closures, made of metal and plastic, as well as new metal closure designs for targeted markets. We still see plenty of opportunity for innovation in designs and materials with metal closures”. Throughout history, nothing could can beat metal for a feeling of solid quality and security, and that impression remains today. With new methods of decorating, embossing & coloring metals, marketing concepts that create a visual and textural allure for the consumer can be easily achieved. Metal still evokes the highest quality and best protection available, & Tecnocap can deliver that feeling to consumers worldwide.